Named after Lapindo Brantas, a gas exploration company that was drilling at the eruption site, the Lapindo mudflow initially burst in 2006 and continues to flow today, becoming the most expensive disaster in Indonesia’s history. 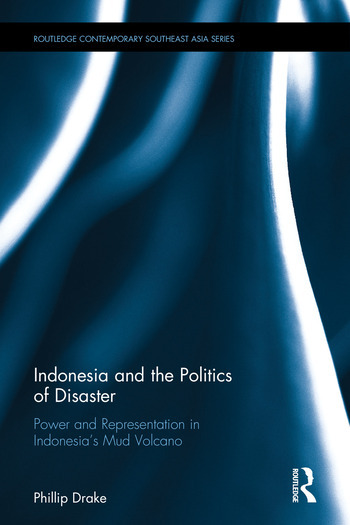 Using this environmental incident in Indonesia as a case study, this book explores representations of disaster in scientific reports, public discourse, literature, and other cultural forms, observing the impact of these portrayals on the ways people both understand and respond to complicated environmental disasters. The author argues that power is expressed and contested in every representation of a disaster and its stakeholders. This book develops terminologies and perspectives that not only probe the social and ecological conditions that make disaster possible but also foster more effective and equitable strategies for adapting to a world fraught with hazards. Interdisciplinary in nature, this book makes a significant contribution to the fields of green cultural studies, disaster studies, science and technology studies and studies of political ecology in Southeast Asia. 1. The Trigger Debate and the Politics of Inquiry: Was it Drilling or an Earthquake that Caused the Mud Volcano? 1a. Contesting the Name: Is it Sidoarjo’s or Lapindo’s Mudflow? Phillip Drake is Assistant Professor of English at the University of Kansas, USA. His teaching and research focuses on environmental literature and rhetoric, science and technology studies, Marxism, animal studies, and environmental politics.